Nanoha Yougashiten no li Shigoto began in issue 19 of Weekly Shonen Sunday by Tamiki Wakaki. Wakaki is more well known for his previous work Kami nomi zo Shiru Sekai (The World God Only Knows). 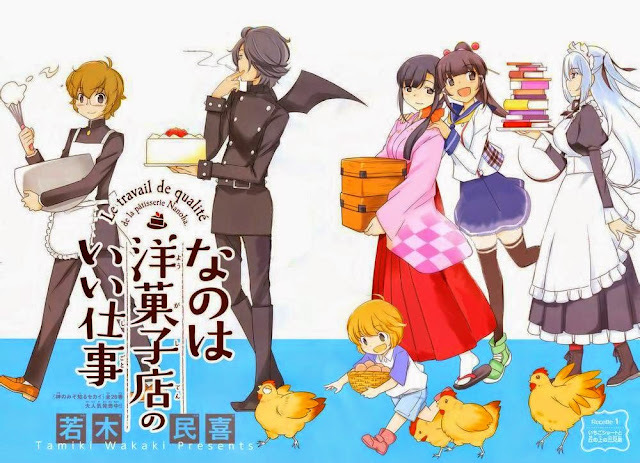 Nanoha Yougashiten no li Shigoto follows the daily goings-on at Patisserie Nanoha, a Patisserie run by the three Nanoha brothers. The eldest brother and Patissier is Nanoha Taimu, a 20 year old with wings. The second son and store clerk is Nanoha Seiji, 16 years old. Lastly, third son Nanoha Paseri, a 7 year old who runs around trying to help out. Although they rarely get customers at their "on the hill" store. When they do Taimu makes the most "sparkling" cakes for the customers...if they can afford it. 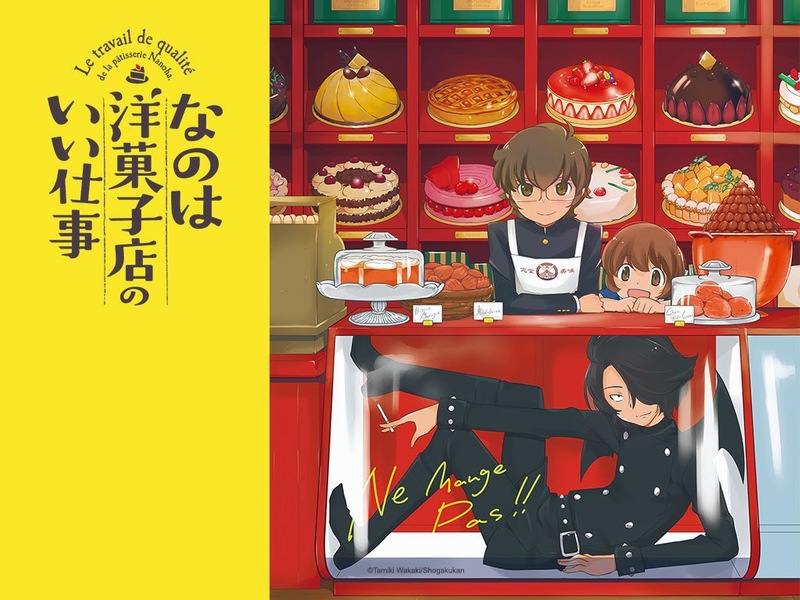 The first chapter was very enjoyable to read, but it was a shame that their customer was not able to get the cake they wanted, due to Taimu's rather childish behavior The first chapter also showed that the three brothers are all the family they have and that their store is on the verge of bankruptcy. The second chapter again was rather odd. Taimu would make these incredible cakes only to have a small amount given to their customer. It is like they are not trying to make money. At the end of the second chapter we discover something about Taimu and it hints at us a possible explanation about his wings and maybe his peculiar personality.